Pruned or injured trees need special care to stay healthy and thriving. 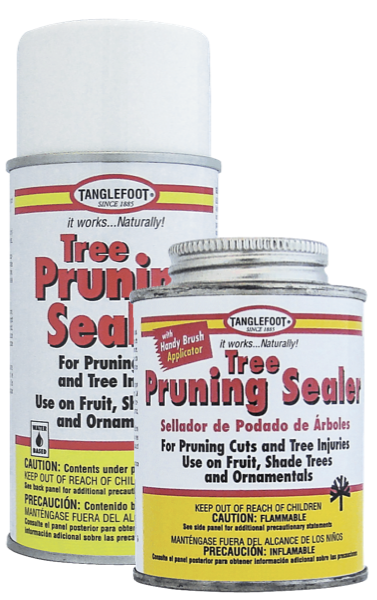 Guard against disease and insect damage with Tanglefoot® Tree Pruning Sealer. 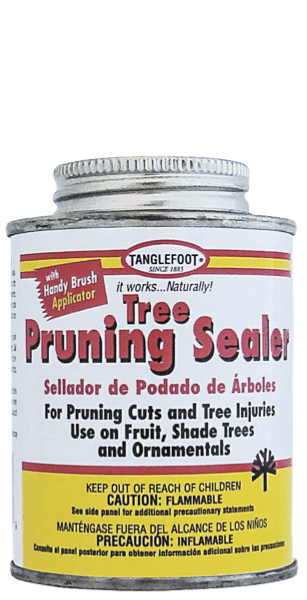 This easy-to-use formula encourages natural healing to provide a clean, professional appearance even after pruning. Don't leave trees to fight the elements - ensure your fruit, shade trees and ornamentals flourish for years to come. Trees can be pruned anytime; however, the best time is during the dormant season. When removing branches, make cuts at the trunk or fork of the tree, cutting at a slight angle, just beyond the branches bark ridge. Always make clean, sharp cuts.